Sheep are not the smartest animals. I mean, they really need caring for and who better to care for them than a shepherd. There is supposed to be a little shepherd in all of us. 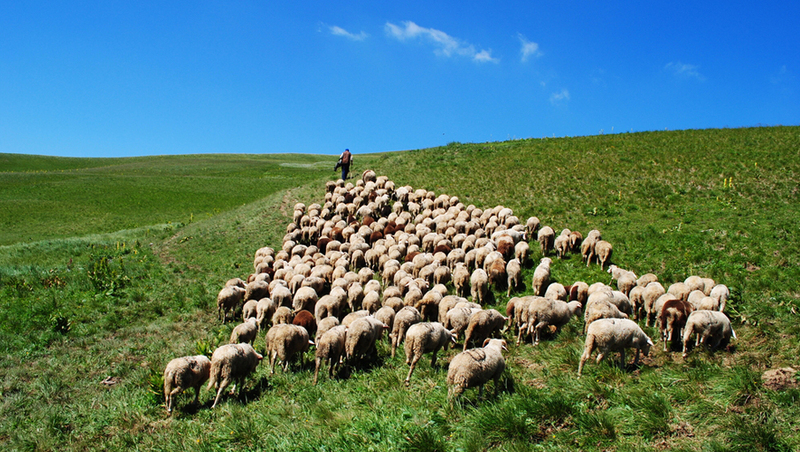 As Christians who are supposed to imitate Christ, we need to embrace the shepherd within. Look around you. There are many people who struggle with life’s challenges and make horrible decisions. We witness their calamity and in most cases we walk on by. Jesus said in John 10:11, “I am the Good Shepherd!” He explained that he was different from those who help because they are looking to get something out of helping. Jesus helps because it’s his nature. The Good Shepherd was willing to lay down his life for the sheep. Dear reader, Jesus is inviting all of his disciples to be shepherds and lead those less fortunate to a path of righteousness. He wants us to join him in loving and caring for all mankind. Now what are you willing to do?